Traité élémentaire du calcul des probabilités. First edition Paris: Courcier, 1816. A fine uncut copy of his influential text book on probability - beeing the first exposition of Laplace's 'Théorie analytique des probabilités' (see Landmark Writings in Western Mathematics, p.339).8vo (213 x 140 mm). VIII, 299, (3: errata) pp. Original interims-brochur, spine heavely worn but with no damage o the leaves. A small and well made repair to the lower right corner of the title page. Provenance: Ecole Sainte Genevieve and Saint-Louis de Jersey (library stamp on title). In all a fine copy in its original state. Fine. Fine. 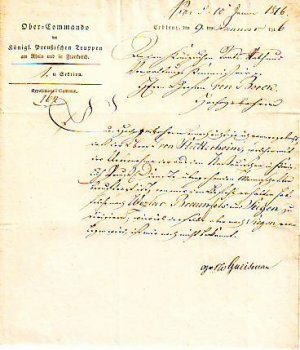 Brief von Schreiberhand. Mit Unterschrift. 9. Januar 1816. 1816. 32x20,5 cm. (wohl erhalten). Johannes Allart,, 1816. In's Gravenhage, Johannes Allart, 1816. Large-8°. Illustrated Frontispice (by Velyn) XIV, 60 nn. (Naamlist der Inteekenaren), 136, 22 nn. pages. 11 illustrations including Frontispice. 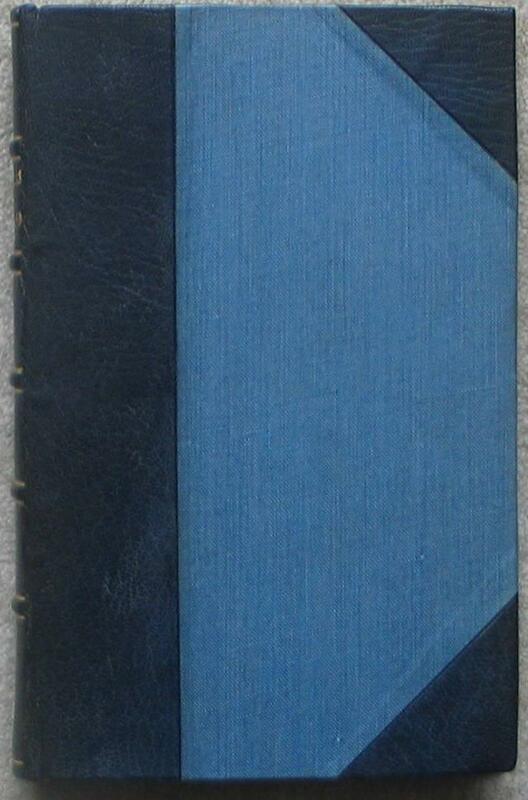 Hardcover / Early 20th century half morocco on five raised bands. Gilt lettering and ornaments to spine. Binding somehow rubbed. Corners slightly bumped only. Paper inside in excellent condition. Rare publication. NO foxing. Illustration on Prins van Oranje, Het Sneuvelen van den Hertog van Brunswijk Oels in den Slag van Waterloo, Een corps Schotten brengt de overwonnene Fransche Aadelaars over aan Wellington, Ontmoeting van de Generaals Wellington en Blucher na den Geeindigden Slag van Waterloo bij den Hoeve, Afteekening der Veldslagen van Lignij, Quatre Bras en La Belle Alliance tegen Napoleon Bonaparte op 16, 17 en 18 Junij 1815. etc. The story of Rimini a poem. London: J. Murray, 1816. Octavo; in original boards. First edition.Although best remembered as friend and supporter to Keats and Shelley, Hunt was also a well-regarded and popular poet, and in this re-working of the tragedy of Paulo and Francesca from Dante's Inferno, he displays both his love of Italian literature and the reintroduction of freer verse forms into English poetry, both of which would inspire Keats, whom Hunt first met in 1816. Although its popularity has waned, it is still regarded as an important 'landmark in English poetry' (Mitchell). Fine. Voyage de Découvertes aux Terres Australes... Sur les corvettes le Géographe, le Naturaliste, et la goélette le Casuarina, pendant les années 1800, 1801, 1802, 1803 et 1804. Paris: Imprimerie Impériale, 1807-1816. 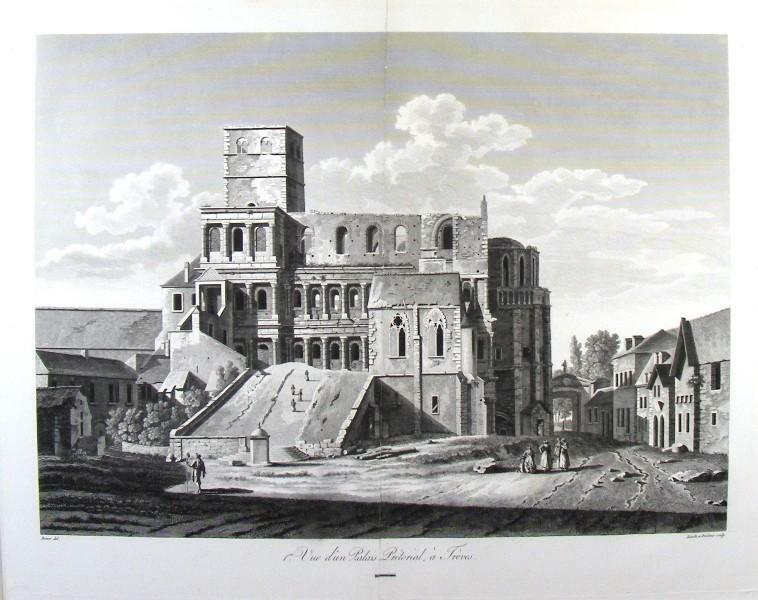 Two volumes, quarto, and large quarto atlas in two parts containing 41 full-page engravings, many in original handcolouring, and 14 fine charts; the text volumes uncut; a fine set in modern quarter morocco. First edition: the Baudin-Freycinet expedition, one of the most important early explorations of Australia. This is the rare and important official account of the Baudin voyage to Australia and the Pacific, sent out by the French government in 1800 with orders to complete the cartographic survey of the Australian coast. Commanded by Nicolas Baudin, the expedition left France in 1800 and sailed via Mauritius to the Australian coast in the region of Cape Leeuwin, arriving in May 1801. Péron sailed as naturalist on the expedition and Freycinet as cartographer. The vessels Géographe and Naturaliste sailed north from Cape Leeuwin. The expedition surveyed the coast and made observations on the natural history and inhabitants, until they crossed to Timor. After three months the two ships set out for Tasmania, the party continuing to make detailed surveys, and went on to Sydney. They then undertook a complete survey of the southern coast and an examination of the northern coast before returning to Mauritius where, near the end of 1803, Baudin died. It was a celebrated voyage, which brought back to France the most important collection of natural history specimens in the history of the French Museum, as well as a wealth of geographical and other information.The Atlas Historique contains a series of wonderful coloured plates, some of the most beautiful of early views of Australia and fine natural history images, while the superb series of portraits of Aborigines represents the most compassionate yet honest portrayal of the displaced natives to be seen in any of the early voyage accounts. These exceptional illustrations are mostly by the remarkable artist Charles-Alexandre Lesueur: "Lesueur's scientific work runs parallel to artistic work of great importance. He was at one and the same time draughtsman and painter, naturalist and landscape artist. His talent was recognised in France in his own lifetime, by the award... of the silver medal of the Société des Beaux-Arts... " (Baudin in Australian Waters, p. 26).The narrative of the expedition was begun by Péron, and completed by Freycinet after Péron's death. A tacit agreement between Péron and Freycinet, both of whom disliked Baudin, kept the commander's name mostly absent from the account of the expedition. The French and English had completed their circumnavigations of the Australian continent at approximately the same time, but Flinders' imprisonment by the French on Mauritius meant that it was this French account which contained the first complete and detailed chart of the Australian continent to appear in print, one of the most beautiful, as well as one of the most famous of all maps of Australia. It also had immense geo-political significance with virtually the entire southern coast of Australia labelled "Terre Napoléon", indicating French colonial ambitions. Controversial even today, the map is often said to have been at least partly based on Flinders's charts and papers seized by the French. Much of the Baudin coastal exploration was commemorated by the numerous place-names along the Australian coast, especially in Tasmania and Western Australia.This set takes the form in which the book is usually seen, comprising the full narrative account and the Atlas Historique with its superb coloured plates. The important Atlas Hydrographique with accompanying text volume were separately published and distributed by a different bookseller: they are only very rarely found accompanying the official narrative. Small tear to the Australian map. INGOLSTADT., "Ingolstadt im Jahre 1816". 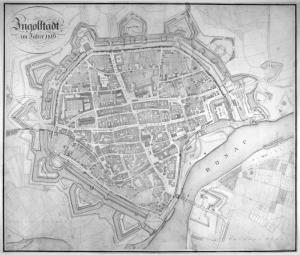 Großer Stadtplan, die Stadt noch von Wällen und Bastionen umgeben. INGOLSTADT. "Ingolstadt im Jahre 1816". 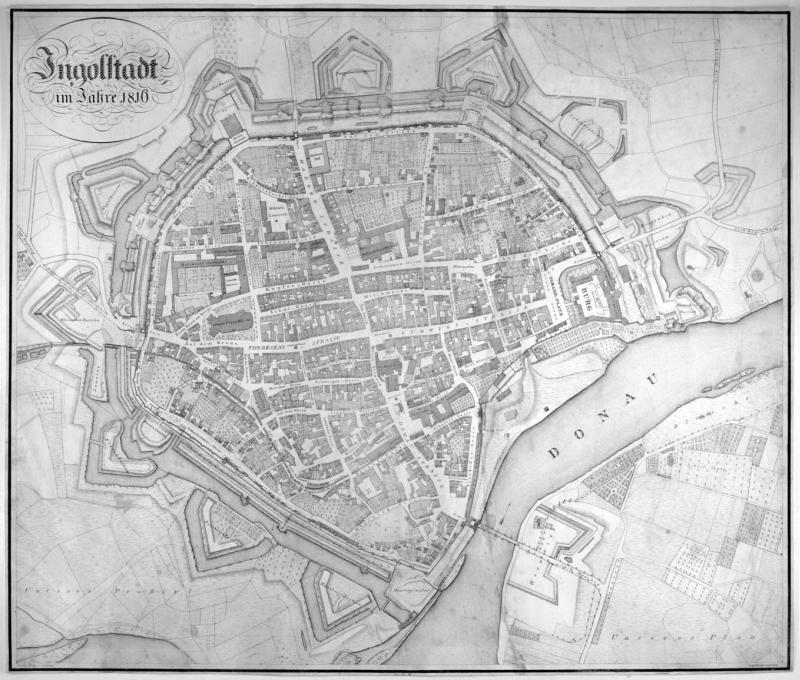 Großer Stadtplan, die Stadt noch von Wällen und Bastionen umgeben. A New Chart of Part of the South Coast of England Extending from The Downs to Spithead. Drawn from the latest Surveys. 1816 - London: Norie, 1816. Two sheets conjoined, total 640 x 1550mm. Some pencil annotations, a few small repairs. A scarce sea chart of south east England, published by Norie at his 'Navigation Warehouse', famed for its 'Little Midshipman' figurehead, borrowed by Charles Dickens as the shop kept by Sol Gils in his 1846 novel 'Dombey and Son'. It shows from Portsmouth to the Straits of Dover, with an inset detail of Spithead and four coastal profiles, including Dover and Beachy Head. The Fly Fisher's Guide, illustratedby Coloured Plates, Representing Upwards of Forty of the MostUseful Flies, Accurately Copied from Nature. 2.ème Vue d'un Palais Prétorial, à Trèves. - Kupferstich von Reville und Lorieux nach Bence, 1816-1836. Ca. 42 x 53 cm. Aus dem monumentalen Werk "Les monumens de la France" von Alexandre de Laborde, das 1816-1836 in Paris erschien. Das vorliegende Blatt zeigt die Porta Nigra von der Landseite aus gesehen im Zustand des frühen 19. Jahrhunderts, als die von Napoleon 1804 verfügte Freilegung im Gange war. Die im Mittelalter in dem ehemaligen römischen Stadttor eingerichtete Doppelkirche ist bereits aufgegeben. Das Dach der Kirche ist bereits abgetragen, aber durch die oberen Fenster sind noch die Gewölbe zu erkennen. Das Simeonstor und die Stadtmauer schließen im Osten an die ehemalige romanische Apsis der Kirche an, im Westen ist das Simeonstift dargestellt. Die Rundbogenfenster der Porta Nigra sind zum Teil vermauert. Im zweiten Stockwerk sind einige Männer in den Fenstern stehend dargestellt. Links unter der Darstellung befindet sich der Vermerk "Bence del. ", rechts unterhalb der Vermerk "Reville et Lorieux sculp.". Voyage fait dans les années 1816 et 1817, de New-York à la Nouvelle-Orléans et de l`Orénoque au Mississipi, par les petites et les grandes Antilles, contenant des détails absolument nouveaux sur ces contrées, des portraits de personnages influant dans les Etats-Unis, et des anecdotes sur les réfugiés qui y sonst etablis. Paris, Gide, 1818, 1816. 2 Bände. 313 / 418 S. 8°, grüne Pappbände der Zeit mit RSchild. Erste Ausgabe. - Sabin 50209. Leclerc, 3381. - Einbände etwas bestossen, teils wenig gebräunt, Bd. 2 Titel und erste Bll. am oberen Rand wasserrandig. - Kritische Betrachtung aus einer royalistischen Sichtweise. London: Printed for Longman, Hurst, Rees, Orme, and Brown, 1816. FIRST EDITION. Octavo, pp. ; 37; . Including publisher's adverts, dated March 1816. Re-bound c.1920 in black cloth with gilt titles to upper board. All edges untrimmed. Endpapers spotted, otherwise a clean copy; very good indeed. Wordsworth writes to James Gray (1770-1830), who was Latin Master at Dumfries Academy in 1788 when Burns moved to the area with Jean Armour and their children. The two men became friends, and in later life Gray made one of the first concerted efforts to redeem the personal reputation of Burns, who was tainted with the reputation of a philanderer and drunken debauchee by the biography published by Dr. James Currie in 1800. Gray seems to have forwarded Wordsworth a copy of the article he wrote for Alexander Peterkin's new edition of Currie's 'Life' on account of the preparations being made by Burns' brother Gilbert for his own re-issue, asking Wordsworth for help in framing his revisionist arguments. A rare and illuminating document not seen at auction since 1962. Hartford: William S. Marsh, 1816. 22pp. Early crude stitching. Rear cover detached, small tears at fore edge, sheets untrimmed. Contemporary manuscript notations. A good copy. 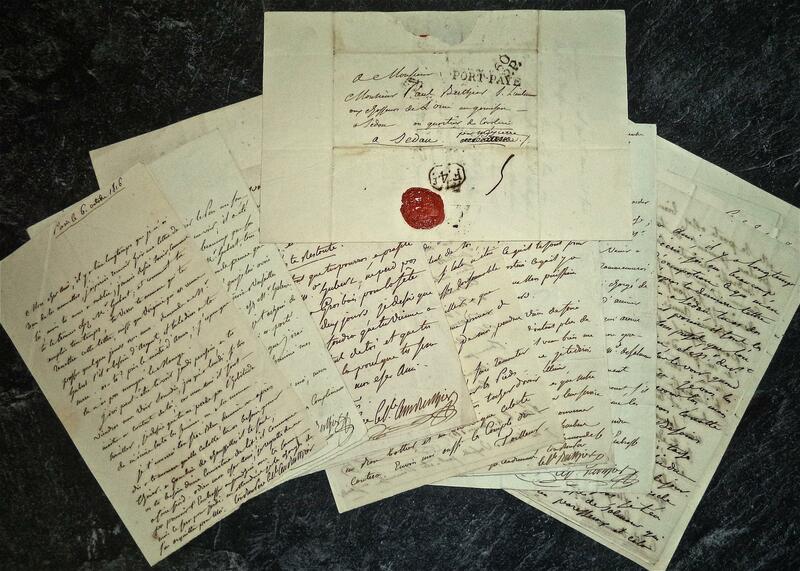 Written as a series of letters to his mother and children, together with his dying address. 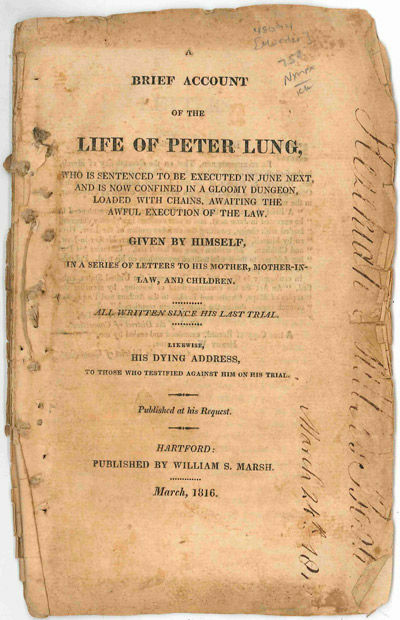 Lung was tried and executed for the murder of his wife. The tone of the letters is reproachful, with the author citing several false and injurious statements made by his mother. Alcohol is to blame for most of the trouble with his wife: "We were now both of us, very angry, and conducted most imprudently and wickedly. We should not have done so had we not both been in a state of intoxication. And whenever we abused each other, as we often did, in a brutal and shocking manner, it was in consequence of drinking too much spirits; but when we got over it, we were always sorry for it." Scarce, with only five copies located in OCLC - New York Historical Society, Connecticut State Library, American Antiquarian Society, University of Michigan, and Colby College in Maine. McDADE 637. SHAW & SHOEMAKER 38112. - 13 lettres in-8, pliées, avec adresse postale, tampon sec ou cachet de cire rouge, adressées à son fils Paul entre le 6 octobre 1816 et le 11 août 1819 par César Berthier, Général de divison, Comte Berthier de Berluy, frère du Maréchal Berthier, deux lettres ne sont pas datées, et l'une est sans adresse postale. Dans ces lettres le Comte Berthier se montre très proche de son fils à qui il prodigue de bons conseils, et donne des nouvelles de la famille. Les lettres sont signées "ton bon père". La dernière lettre, du 11 août 1819 a été écrite quelques jours avant la noyade accidentelle du Comte, le 17 août, au château de Grosbois. 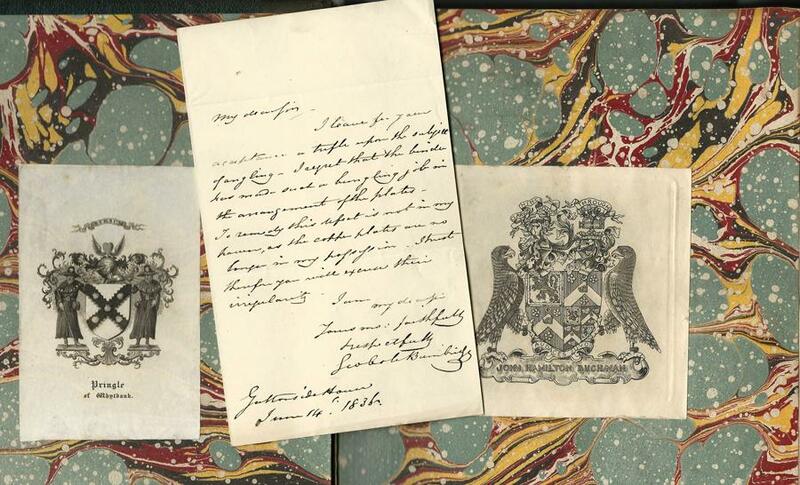 On y joint une lettre datée de 1845, adressée à Alfred, fils de Paul Berthier, décédé en Afrique, par sa tante, avec quelques lignes écrites par sa grand-mère, la Comtesse Berthier. VIII-308 pages, un tableau Paris, chez l'auteur, 1816, in-8, VIII-308 pages, un tableau dépliant, demi-basane fauve de l'époque, dos lisse et orné, ex-libris J. J. frappé en pied, tranches jonquille, Édition originale de cet ouvrage, le dernier sur lequel Dubuisson travailla, avant de perdre ses facultés mentales. L'auteur divise les maladies mentales en 5 catégories - hypocondrie, vésanies partielles, manie, démence et idiotisme - et reconnait les causes héréditaires, physiques et morales de la folie. L'ouvrage contient un tableau statistique dépliant, "servant à établir les proportions de guérison des aliénés" dans les hôpitaux de Charenton, Bicêtre, la Salpêtrière, dans les établissements d'Esquirol et dans celui de Dubuisson lui-même ; en Angleterre à Bethlem, Saint-luc et dans les établissements de la Société des Quakers près d'York ; à Berlin en Prusse ; et à Vienne en Autriche. Jacquelin Dubuisson (1770-1836) fit ses études à Paris et dirigea une maison de santé au petit Charonne, dans laquelle étaient accueillis à la fois les aliénés et les détenus politique. En 1812, il publia une Dissertation sur la manie. Claude-François de Malet était placé dans son établissement lorsqu'il ourdit son coup d'état contre Napoléon ; cet évènement semble avoir eu raison de la santé mentale de Dubuisson. Exemplaire provenant de la bibliothèque de Frantz Adam (1886-1968) à Charenton, avec son ex-libris manuscrit et la date de 1913 : interne puis psychiatre réputé à Charenton et à hôpital psychiatrique de Rouffach en Alsace, Frantz Adam fut aide-major puis médecin-major au 23e régiment d'infanterie pendant la Grande Guerre ; il est reconnu pour ses photographies prises sur le front et pour ses souvenirs, publiés en 1931 sous le titre « Sentinelles... prenez garde à vous... ». Bon exemplaire, malgré des rousseurs. Coins émoussés. Semelaigne I, p. 112. 1.ere Vue d'un Palais Prétorial, à Trèves. - Kupferstich von Reville und Perdoux nach Bence, 1816-1836. Ca. 41 x 52 cm. 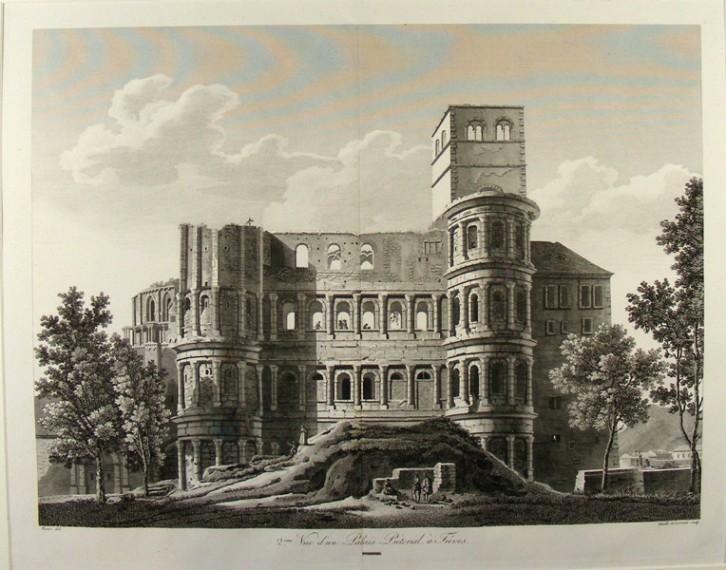 Aus dem monumentalen Werk "Les monumens de la France" von Alexandre de Laborde, das 1816-1836 in Paris erschien. Das vorliegende Blatt zeigt die Porta Nigra von der Stadtseite aus gesehen im Zustand des frühen 19. 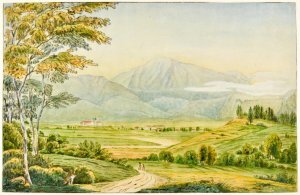 Jahrhunderts, als die von Napoleon 1804 verfügte Freilegung im Gange war. Die im Mittelalter in dem ehemaligen römischen Stadttor eingerichtete Doppelkirche ist bereits aufgegeben. Die Rampe, die die Torbögen verschloß und zur Kirche im ersten Stockwerk führt, ist bereits verfallen, aber noch begehbar. Das Dach der Oberkirche fehlt, auch der Turmhelm ist abgetragen. An die romanische Ostapsis schließt ein Stadttor, das Simeonstor, an. Am linken Bildrand ist das Simeonstift mit dem Kreuzgang dargestellt. Links unter der Darstellung befindet sich der Vermerk "Bence del. ", rechts unterhalb der Vermerk "Reville et Perdoux sculp.". XLVI, 393, (1) pages et 4 Paris, Crochard, 1816, in-32, XLVI, 393, (1) pages et 4 planches, chagrin noir de l'époque, dos à nerfs, tranches dorées, Publié pour la première fois en 1762, ce traité de "la maladie muqueuse" fut régulièrement édité à la fin du XVIIIe siècle et traduit en français dés 1806. Il constitue une étude exhaustive de la typhoïde, que les auteurs confondent avec la dysenterie et les fièvres récurrentes (Garrison and Morton 5021). La présente édition, qui reprend le texte de 1783 édité par Heinrich August Wrisberg, constitue un rare exemplaire de minuscule de médecine illustré. Malgré des traces de mouillures sur les pages 200 à 230 puis 290 à 315, correct exemplaire, relié au XIXe et portant l'estampille de l'Institut Catholique de Paris. London: for Baldwin, Cradock and Joy, and Carpenter and Son, by S. Hamilton, Weybridge,, 1816. Small octavo (166 Ã— 104 mm). Finely bound in the 1880s by Ramage in burgundy full morocco, spine gilt in compartments with titles direct, sides panelled with octuple gilt rule, florally patterned endpapers, top edge gilt, others untrimmed. 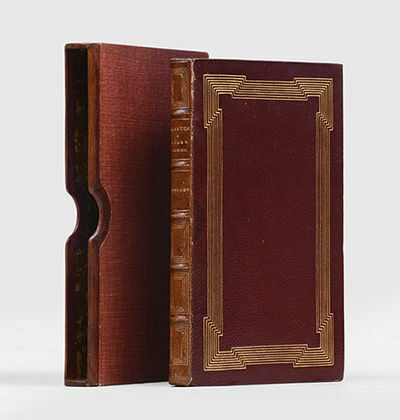 Housed in a matching leather-entry burgundy cloth slipcase. With the scarce final blank. Spine a little sunned, some trivial rubbing to extremities, internally sound, clean and fresh. An excellent copy. 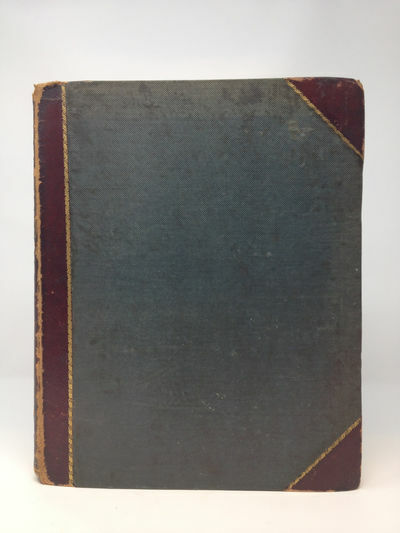 First edition, very scarce, of Shelley's first mature work, which drew from Leigh Hunt, then a stranger to him, the first public recognition of Shelley's gifts as "a very striking and original thinker". Partly inspired by a boat trip up the Thames taken by Shelley, Mary, Peacock and Charles Clairmont, and partly by Shelley's complex reaction to Wordsworth, the poem, "in its brooding introspection, is a world away from the explicit radicalism of Queen Mab. Alastor is at some level an elegy for Shelley's failed marriage with Harriet" (ODNB). 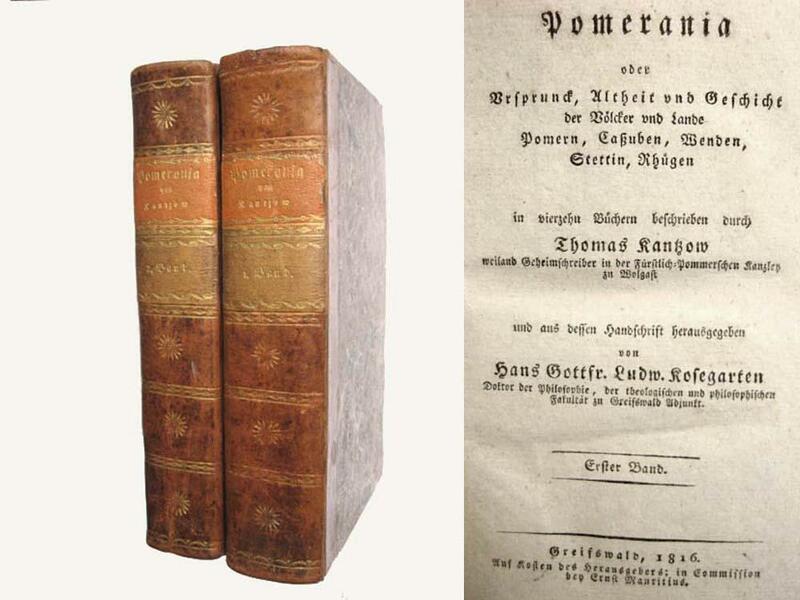 The volume also contains much revised versions of the first two cantos of Queen Mab, under the title 'The Daemon of the World', along with another revised section (entitled 'Superstition') from canto 6. The book was apparently rare as early as 1824: Mary Shelley, in her preface to Posthumous Poems, explained, "I have added a reprint of 'Alastor, or the Spirit of Solitude': the difficulty with which a copy can be obtained is the cause of its republication." This copy has an interesting association gift inscription, contemporary with the fine Ramage binding, to the front free endpaper verso, "C. Kegan Paul from The Rev W. K. R. Bedford, 1889". Charles Kegan Paul (1828-1902) was, like Shelley, educated at Eton and Oxford. After a period as a curate, and then as a master at Eton, he entered the publishing business. He was the author of several literary publications, including his biography of William Godwin, His Friend and Contemporaries (1876), which he undertook at the request of Shelley's son Sir Percy Florence, who placed at Paul's disposal a mass of unpublished documents. He published a supplementary work on Mary Wollstonecraft, Letters to Imlay, with Prefatory Memoir (1879). These publications, and his public crises of faith (from Church of England, to atheistical Positivism, to Catholicism), make him a not inappropriate recipient for this early and important Shelley first edition. The gift, with its handsome Ramage binding, was made by English clergyman the Rev. William Kirkpatrick Riland Bedford (1826?1905), a noted author and cricketer (he founded the Free Forsters Club in 1856). Into the 20th century, this copy is from the noted collection of Mrs J. Insley Blair, and has her Blairhame morocco book label to the front pastedown. 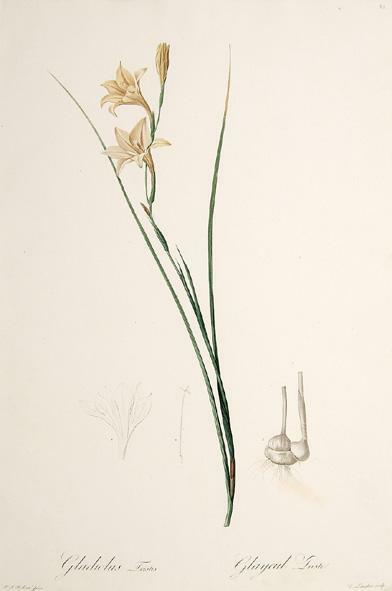 Gladiolus Tristis. Glayeul Triste. Plate 35. Les Liliacees. 1802-1816 - Stipple engraving. Original colour. Size: 34 x 52 cm. (13½ x 20½ inches). Very light yellowish stain towards lower right. In very good condition. Mounted size: 53.5 x 72cm. Flowering stem in colour, flanked by small uncoloured depictions of flower, seed and bulb. The Belgian, Pierre Joseph Redoute, 'Raphael of flowers', was patronized at the French court by Marie Antoinette, and after the revolution by Napoleon and Josephine. He was a master at the delicate art of stipple engraving. These original prints are much sought after and the designs often applied to china. Engraved by Langlois. Vita del Cavaliere Giambattista Bodoni tipografo italiano e catalogo cronologico delle sue edizioni. Stamperia Ducale, 1816. 2 voll. in-8° gr. (cm. 240 x 180), pp. (6), III, occhietto, 231; (6), IX, (1), 252, bellissimi antiporta in cisi in rame ai due volumi (la prima è incisa da De Gubernatis, la seconda da Pigozzi), legatura in mezza pelle dell'epoca, titolo in oro su tasselli ai dorsi. Ottimo esemplare, fresco. Opera dotta e stimatissima scritta dal De Lama che fu intimo amico del Bodoni nell'ultimo ventennio. E' la prima biografia dei libri da lui pubblicati. "Con esattezza minuta ho ricopiato i titoli di tutti i libri...ed ho aggiunto la descrizione materiale di ogni volume...ed ho parimenti con tutta l'accuratezza possibile indicato all'amatore del lusso e delle rarità tipografiche gli esemplari stampati sopra una carta migliore", scrive il De Lama stesso a illustrazione del metodo da lui seguito nella stesura del lavoro. La lista dei sottoscrittori elenca 552 nomi. Collezione Bodoniana della Biblioteca Civica di Saluzzo, n. 227; Brooks, 1170. 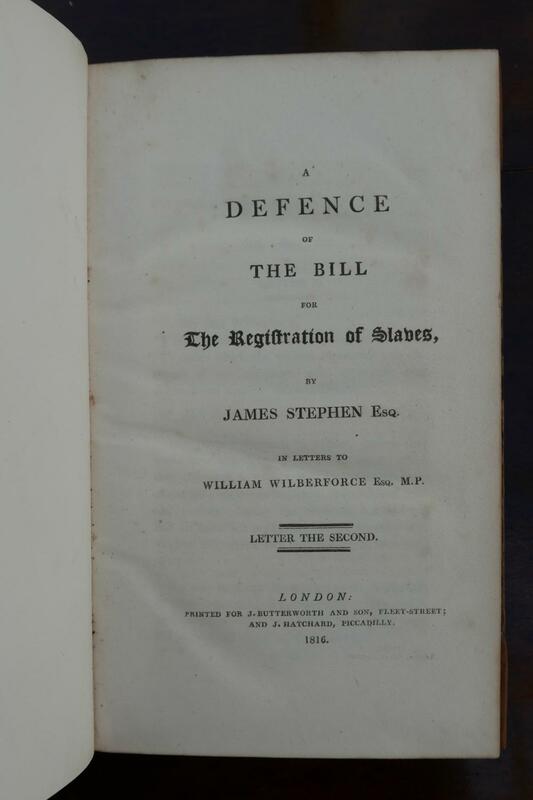 A Defence of the Bill for the Registration of Slaves in letters to William Wilberforce Esq. MP. Letter the Second. Boieldieu, François-Adrien, French composer (1775-1834). Autograph letter signed. No place, "ce dimanche 8 Sept." (1816 or 1822?). 1816. 4to. 1 page on bifolium. To the harpsichordist and composer Charles-Henri Plantade (1764-1839), sending the manuscript of this "Télémaque" for one of Plantade's students. - Traces of folding. 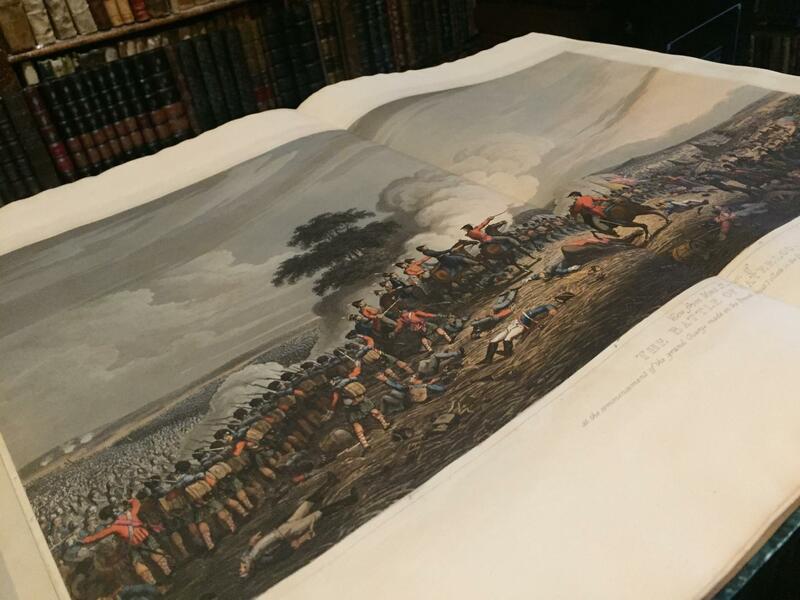 CAMPAIGN (The) of Waterloo illustrated with engravings of les quatre bras, La belle Alliance, Hougoumont, La Haye Sainte and other principal scenes of action. 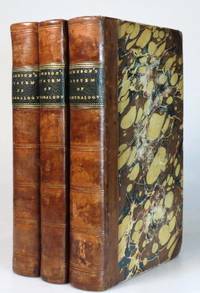 London: William Bulmer and Co, 1816. FIRST EDITION. Good Plus. Large Quarto, app. 13" x 10.5". Contemporary three-quarter bound red, straight-grained morocco and bluish-green cloth. Top edge gilt. Gilt dentelles at inside edges of all corners, and along spine where leather meets cloth. Gilt lettering and designs to spine. Scuffing and cracking to leather, with fraying and chipping to .25 inch at bottom and top of spine. Front hinge started, rear board detached. High quality paper, and quite handsome large serif typeface. Tri-fold pullout map engraved by J. Walker depicts "The principle Conquests of the Arabs under the Khalifs or Successors of Mahomet." Foxing to map, and just one or two other pages, (and lightly at that). Index at rear. Fore-edge untrimmed. This work is divided into two principle portions: 1 (pp. 29 - 202) the Political and Military History of the Arabs in Spain; 2) the History of their Civil Institutions, Literature, Sciences, Arts, Manufactures, Commerce, etc. The book is designed as an introduction to the antiquities of Spain. Contributors include John Shakespear, Thomas Hartwell Horne, The 23-page Introduction reviews the early history of the Arabs -- their institutions, religion, conquests, etc., previous to their invasion of Spain. Chapters in Part I discuss the authors from whose works this book has drawn upon, together with observations on the history, previous to the conquest, then present some account of the conquest of Spain; governance by Emirs and their dependence upon the Khalifs of Syria or Governors of Africa; Reigns of the independent Sovereigns of the House of Ummaiya; the fall of Granada; a topographical account of the principles Seats of the Mahometan Empire in Spain; historical accounts of Cordova, the Kingdom and City of Granada; Observations on the Arrangement of the Alhamra; and finally a short historical account of Seville. Part II (pp. 205-322) delves more deeply into the Literature and Sciences of the Arabs -- the colleges and academies, language and writing, grammar and eloquence of the Koran, Rhetoric; Poetry; and Dramatic Poetry. There follows considerable exploration of the Sciences: Anatomy and Chirurgery, Chemistry, Alchemy, Mathematical Sciences -- Arithmetic, Algebra, Geometry, Trigonometry, Astronomy; Astrology, Geomancy, Optics, Mechanics, Hydrostatics, Jurisprudence, and Theology. Then in the section on Arts, Manufactures and Commerce, a discussion of useful arts, commerce, agriculture and horticulture, mining and metallurgy, gunpowder, money, weights and measures. discussion about Fine arts and music, manners, customs, amusements, government, naval and military forces, etc. An Appendix (i.--xxi) contains a collection of Historical Notices and Poems in the Alhamra of Granada. SIMON QUAGLIO (1795 - 1878). 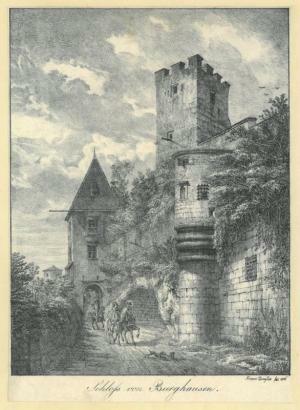 "Schloß von Burghausen". Teil der Burg mit vierfach gekröpftem Turmvorsprung, viereckigem Zinnenturm und Torturm sowie bewachsenen Burgmauern, an denen zwei Edelleute und ein Falkner entlang reiten. - Kreidelithographie, 1816, 31 x 23,5 cm. Winkler 643,2; Maillinger I,3000; Lentner 7326: "Seltenes, dekoratives Blatt". - Inkunabel der Lithographie. Childe Harold's Pilgrimage - Canto III - bound with - Canto IV. FIRST EDITION SIGNED. 1 vol., signed by Byron as "Noel Byron" to top of title-page, being the first variant of the second issue with capital L of Lettre directly beneath lui of celui-la on title page and page 67 with the word Eagle (as opposed to Falcon in the second variant), half title present and bound with the notes and the poem A Very Mournful Ballad on the Siege and Conquest of Alhama. Bound in contemporary full tan calf, covers ruled and paneled in gilt and blind, expertly rebacked to style.Accompanied with a letter signed by Dr. Peter Beal of Sotheby's, on Sotheby's letterhead dated 13th December 1991, and relating to Lot 28 in the Sotheby's auction of 12th December 1991, and stating "We are happy to confirm our definite opinion that two of the volumes in this lot were signed by Lord Byron, using the form of his name ("Noel Byron") he adopted after the death of his mother-in-law in January 1822. Byron's signature was subject to variation, depending in part upon the speed with which he wrote, but close comparison with a number of facsimile examples leaves no doubt in our mind that his salient characteristics are present and that there is no indication of forgery". Regolamento sulla istituzione del corpo dei carabinieri pontificj. GALASSI VINCENZO. Sentimenti morali e brevi istruzioni per un carabiniere. - Roma, Vincenzo Poggioli Stampatore della Rev. Cam. Apost., 1816. Due opere in un volume in-8ø; 116 pp., 72 pp. ; legatura coeva "a registro" in tutta pergamena perfettamente conservata (salvo il laccio di chiusura mancante), con grande firma di possesso ai piatti: "Angelo Beltrammi Carabiniere a Cavallo del 1816. Compagnia scelta - Angelo Beltrami Carabiniere. Benevento l? 21 luglio 1816(?). Carabiniere a cavallo". Occasionali, assai lievi punti di fioritura. Bell'esemplare. Prima edizione di entrambi i testi, che costituiscono il documento fondativo del corpo dei Carabinieri pontifici, istituito da Papa Pio VII con notificazione del luglio 1816. L'esemplare Š di particolare interesse perch‚ Š la copia "d'uso" di un carabieniere del tempo con una rara legatura portatile "a registro" perfettamente conservata. Dopo il periodo napoleonico e il congresso di Vienna, il Papa torn• a Roma e riorganizz• le guardie: il volume contiene il Regolamento del corpo e il testo di Galassi con le indicazioni generali di comportamento. I carabinieri, che andavano a sostituire gli "sbirri", si distinguevano dalle Guardie svizzere poich‚ operavano per la sicurezza su tutti i possedimenti pontifici e garantivano un controllo generalizzato sul territorio. Rossetti 10426 considera i due testi sotto uno stesso record. Die Elixiere des Teufels. Nachgelassene Papiere des Bruders Medardus eines Capuziners. Herausgegeben von dem Verfasser der Fantasiestücke in Callots Manier. Erster Band. [France], 1816. Fifteen watercolors, each with an accompanying manuscript text leaf, plus watercolor and gold title leaf, on sheets approximately 14 1/2 x 11 inches. Contemporary green morocco, spine gilt lettered, a.e.g. Boards a bit scuffed, edges somewhat worn, spine faded. Occasional faint foxing. Very good. An exceptional album of fifteen botanical watercolors, which are accompanied by an expertly accomplished manuscript description within blue and gilt borders. Each image depicts a different class of plant life, while the text describes families of plants within that class. 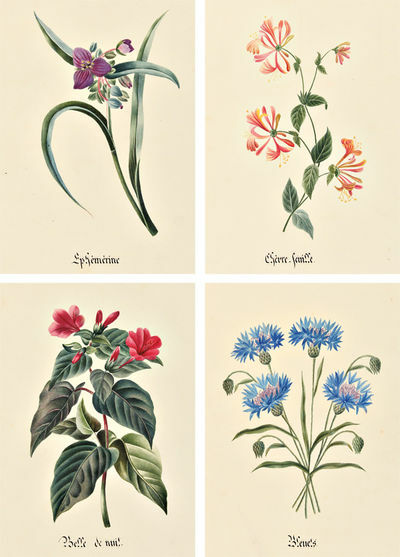 The images range from agarics (mushrooms) to ornate roses and camellias, and include watercolors of honeysuckle, blueberries, azaleas, oaks, and marvels-of-peru. Every text leaf contains a detailed analysis of the different families of the depicted plant in a neat and legible French hand. A beautiful example of an amateur artist's book of botanical scholarship. 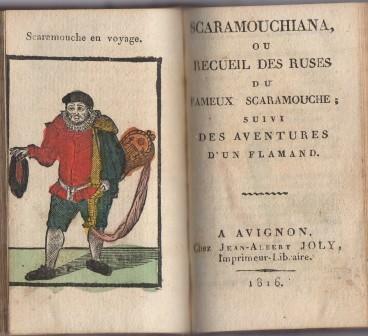 Le Nouvel Arlequiniana, ou Recueil de bons mots, precede de plusieurs scenes arlequines. 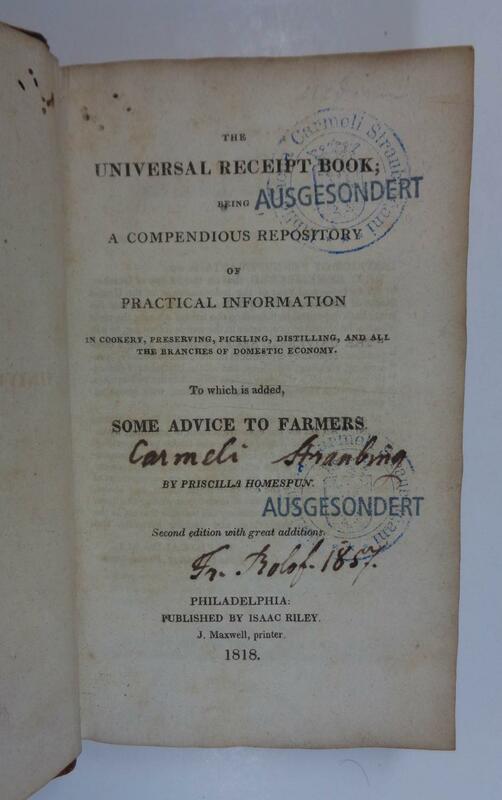 The universal receipt book; being a compendious repository of practical information in cookery, preserving, pickling, distilling, and all the branches of domestic economy. To which is added, some advice to farmers. Second edition with great additions. Philadelphia, J. Maxwell für Isaac Riley 1818. 8°. 378 S., Ldr. d. Zt. mit Rsch. - Shaw & Shoemaker 46618 - Rink 181 - Bitting 232.- Seltenes Amerikanisches Rezept- u. Kochbuch, erstmals 1816 noch ohne Pseudonym erschienen.- Titel 2fach gestempelt u. mit hs. Besitzvermerk, nur leicht braunfleckig, Vorsätze (u. tls. auch als Ergänzung im Text) mit zahlr. eingeklebten zeitgenöss. Zeitungsausschnitten mit weiteren Rezepten, Ebd. berieben.# Second edition (originally issued in 1816).- Collection of householdrecipes includes cookery, medicine, confectionery, distilling, pickling, dyeing, paints, agriculture, etc.- Title doubly stamped and with owner inscription, only slightly brown-spotted, flying endpapers (and partly also as supplement in the text) with numerous glued contemporary newspaper excerpts with further recipes, binding rubbed. John Booth - J. Fairbairn, 1816. 8vo (cm. 21,5), 4 cc.nn., LXXXVI-(2)196 pp., 5 cc.nn. Con 4 tavv. piÃ¹ volte rip. f.t. (di cui due - in splendida coloritura coeva - che formano unâ€™unica raffigurazione del campo di battaglia di Waterloo). Legatura coeva in mz. pelle con angoli. Fili e titolo oro su tassello al ds. (rinnovato). Tagli colorati. Esemplare in eccellente stato di conservazione. Raro. Sketches on a tour to Copenhagen, through Norway and Sweden , interspersed with historical and other anecdotes of publich and private characters. To which is added a political appendix relative to the union of the latter two kingdoms. By (...), Esq. Second edition, with additions and corrections. Ldn. 1816. 4to. Samtidig rødt skinnryggbind med strekdekor på ryggen. Marmorerte dekler. (8), 224, (2), cxlii s. IX plansjer.4to. Contemporary red half calf, spine simply gilt, marbled boards. (8), 224, (2), cxlii pp. IX engraved plates. Schiötz 1193b**.Hjørnene støtt. Ryggen noe slitt. Plansjene av Christian II og Christian Frederik byttet om.Corners bumped. Spine a bit worn. The plates showing Christian II and Christian Frederik misbound. 2. Aufl. 4. 13 Bl. mit 36 kolor. getönten lithografischen Bildern auf 12 Tafeln von E. Dertinger. HLn mit mont. farblithogr. Deckelbild. sehr gutes Ex. Sehr seltenes Anschauungsbilderbuch. "In Reim und Bild werden die landwirtschaftlichen Produkte wie Fleisch, Milch, Wein, Obst, Flachs und Wolle vorgestellt." Wegehaupt 2288. Ernst Dertinger (1816 - 1865) lebte in Stuttgart. Ries 484. PLANEGG/Würmtal., Ansicht der Wallfahrtskapelle Maria Eich, von Laubbäumen umgeben, im Vordergrund mit reicher biedermeierliche Personenstaffage. Links mehrere Wirtsbuden und zahlreiche Gäste auf Bänken unter den Bäumen sitzend. BENEDIKTBEUERN., Benediktbeuern vor der Benediktenwand und dem Herzogstand. 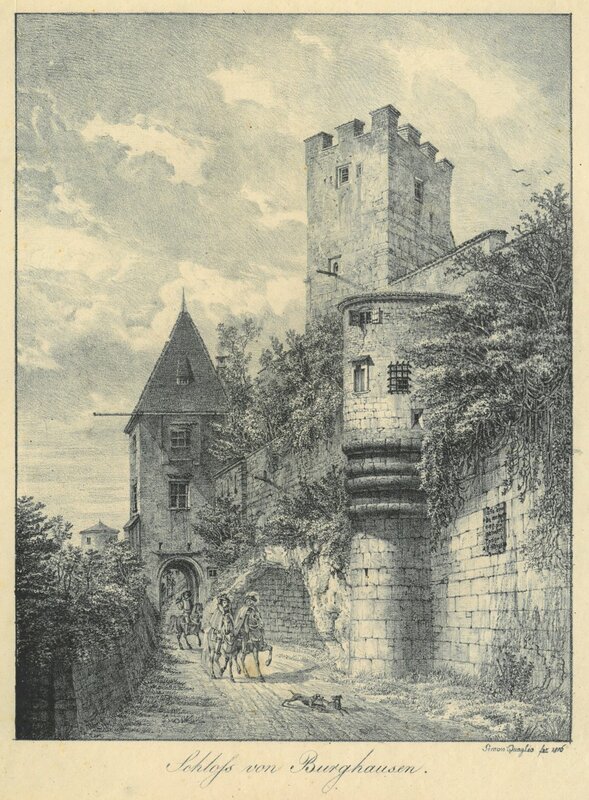 BURGHAUSEN., "Schloß von Burghausen". Teil der Burg mit vierfach gekröpftem Turmvorsprung, viereckigem Zinnenturm und Torturm sowie bewachsenen Burgmauern, an denen zwei Edelleute und ein Falkner entlangreiten. Edinburgh: Printed by Neill & Company for Archibald Constable and Company; and Longman, Hurst, Rees, Orme & Brown, London, 1816. Second edition. Three volumes. 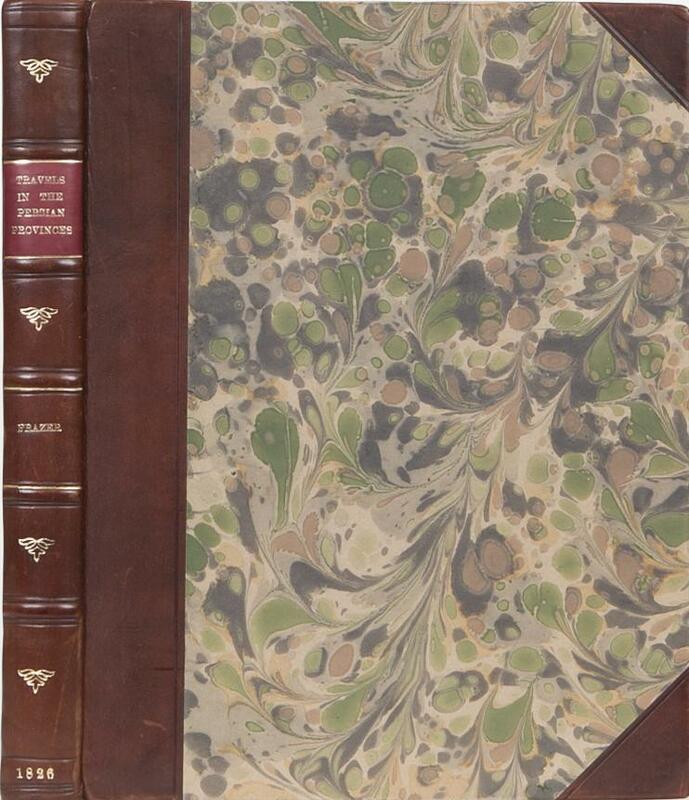 Contemporary tan half calf over marbled boards, spines with blind rules and gilt lettered green labels, the bookplate of Arthur Hill of Bruce Castle to the front pastedowns. 13 folding plates. Some foxing the plates, the outer edge of one of which has been shaved with a very small loss of the printing, some patchiness to the spines, a very good set. Bruce Castle was a school founded in 1827 in Tottenham by Rowland Hill, the great postal reformer, and his brother Arthur. When Rowland Hill stood down as headteacher in the early 1830s to pursue other interests Arthur took on the job, a position that he held until his retirement in 1866. During their tenures the school became well renowned for its progressive teaching methods, the broad curriculum in which they schooled their pupils and the strong emphasis that they placed on the sciences. It was highly successful and attracted pupils from wealthy families, including the children of Charles Babbage. Rußland oder Sitten, Gebräuche und Trachten der sämmtlichen Provinzen dieses Kaiserthums. Mit hundert zehn Kupfern nach Original-Zeichnungen, und nach der Natur aufgenommen durch Herrn Damame-Demartrait, französischer Maler, und Robert Ker-Porter, englischer Maler, Erfinder der Panoramen. Nach dem Französischen des Herrn Breton. (4 Bände von 6 in einem Band). Miniaturgemälde aus der Länder- u. Völkerkunde, Erste Lieferung - Russland, mit 110 Kupferstichen. Paris, Jean, 1816. En 32 sections montées sur toile et pliées, formant une carte de 0,97 x 1,25 m. Rare et superbe plan mural de la ville de Paris divisée en 12 arrondissements et 48 quartiers, publié sous la Restauration en 1816. Il montre les premiers travaux d'embellissement et d'aménagement de voirie qui avaient été ordonnés par Napoléon, parmi lesquels figurent le canal de l'Ourcq, terminé en 1802, le canal de Saint-Denis, commencé en 1811, le bassin de la Villette, destiné à alimenter la capitale, achevé entre 1806 et 1809, les Abattoirs, les cimetières du Nord, de l'Est, de Vaugirard, de Sainte-Catherine (décret du 12 juin 1804), la nouvelle Morgue place du Marché-Neuf (ordonnance de police de 1804), le pont des Arts, construit entre 1802 et 1804, le pont d'Austerlitz, entre 1799 et 1807, les greniers de réserve, le quai d'Orsay, le marché aux fleurs, ou encore la partie occidentale de la rue de Rivoli. Sur la rive droite, face au Champ de Mars, figure le dessin d'un "palais projeté". Il s'agit de la villa Trocadéro, projet de l'architecte Antoine-François Peyre, qui ne fut jamais réalisé. Autour du plan ont été disposées 29 vues des principaux monuments parisiens, dont le "palais projeté" de la villa Trocadéro. Les 12 arrondissements de la ville sont délimités par un trait d'aquarelle. Le plan est accompagné d'une liste des rues, passages, ponts, places, abattoirs, cimetières, et des arrondissements. Le titre est inscrit dans un drapé, et décoré de 3 fleurs de lys. Bel exemplaire avec contours aquarellés à l'époque. Minuscule manque au niveau de la place Louis XV (place de la Concorde). HUYSSEN VAN KATTENDYKE, Willem Johan Cornelis. Uittreksel uit het dagboek van W.J.C. Ridder Huyssen van Kattendyke, Kapitein-Luit. ter zee, gedurende zijn verblijf in Japan in 1857, 1858 en 1859.The Hague, W.P. van Stockum (printed by Giunta d'Albani), 1860. 8vo. 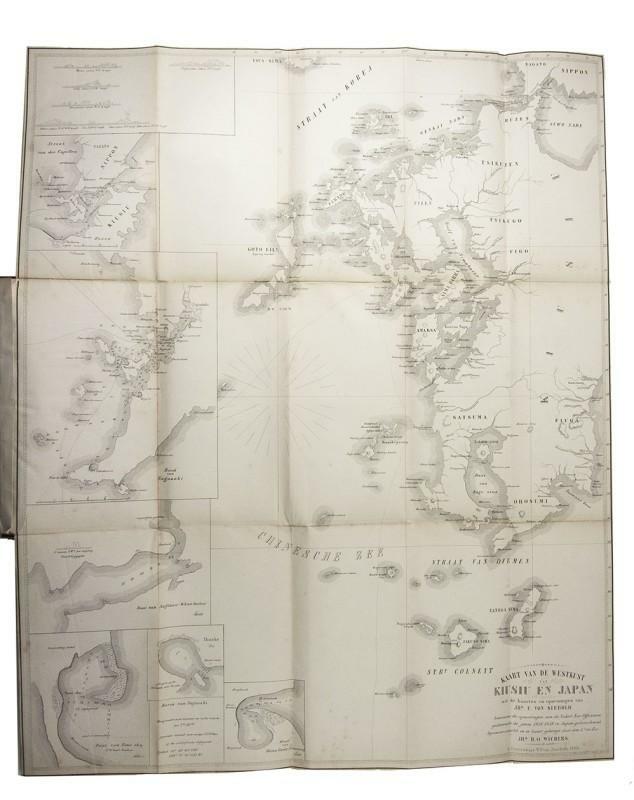 With large folding lithographed map (67 x 54.5 cm) depicting the west coast of Japan and Kiusiu, by E. Spanier after H.O. Wichers. Contemporary gold-tooled red sheepskin (morocco), gilt edges, silk-watered endpapers. - Cat. NHSM, p. 478; Cordier, Japonica, col. 552; for the author: NNBW V, col. 254. First and only edition of a description of Japan by the Dutch naval commander Willem Johan Cornelis Huyssen van Kattendyke (1816-1866), recording events of his service in Nagasaki and surroundings in 1857, 1858 and 1859. It is a revised excerpt from his diary, with a lithographed map by H.O. Wichers, based on the maps and surveys of Von Siebold and recent surveys by Huyssen van Kattendyke's colleagues. The author went to Japan to deliver the steamship Japan, built for the Japanese emperor, and to relieve the Dutch navy unit that had been stationed there since 1855. During his stay in Nagasaki he recorded information about the people he met, the expeditions he made to surrounding islands, etc. It describes the last years of Japan's sakoku policy.Faint browning along the extremities, first blank slightly foxed, and the map mounted on Japanese paper restoring a tear, with some spots; good copy. Binding slightly rubbed along the extremities and the head of the spine slightly damaged, otherwise good.